That’s the hope of Green Sefton after the Southport born champion helped win back the Ryder Cup in a thrilling encounter and made international headlines in the process. 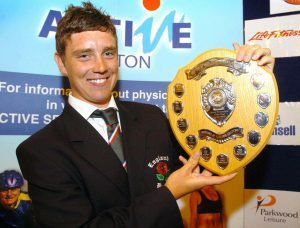 It is the latest success in a career which began over 18 years ago at Sefton Council’s Municipal Golf Course on Park Road West, Southport. 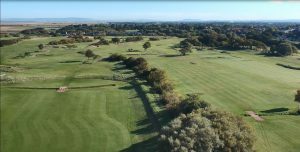 The course, hailed as one of the very best Municipal courses in the country, has also helped produce top talent in Lee Slattery and Matthew Baldwin. All three were members of Park Golf Club who use Southport Municipal as their course in an ongoing partnership with Sefton Council. Green Sefton champion Cllr Ian Moncur, Sefton Council’s Cabinet Member for Health and Wellbeing, said: “We have all been engrossed and encapsulated by Team Europe’s performance in the Ryder Cup and to have an ex Southport Muni star in that group makes us very proud. “Tommy, a former Sefton Sports Personality, is a fantastic role model for our wonderful borough and his skill is testament to the excellent golfing facilities which are available to anyone! Back by popular demand during the October half term school holidays, Sefton Council is proud to offer a number of ‘Ditch Those Stabilisers’ cycling events. Children aged four and above can learn to ride a bike unaided at sessions in both Litherland and Southport. The events, which take place a number of times throughout the year, always have a very high success rate, as staff from the Council’s highway safety team offer a range of practical advice to young riders and their parents. Sessions are free but pre-booking is essential. Join in the fun at Litherland Sports Park, Boundary Lane on Tuesday, October 23 between 9am-12pm or Shoreside Primary School, Westminster Drive on Thursday, October 25 from 9am to 12pm. To register, please call on 0345 140 0845. Sefton Council is delighted to announce a brand new partnership with Southport company Cumfybus to run the town’s Park and Ride service. Running from the Esplanade, through the Town Centre and to the Southport Eco Centre, at just £2 per car, the regular 10 minute loop service is incredibly popular with tourists, shoppers and commuters alike. Cumfybus will run buses specially equipped with hybrid technology to reduce emissions and compliments Sefton Council’s action plan to help minimise the impact of of air pollution across the borough. Cllr John Fairclough, Sefton Council’s Cabinet Member for Locality Services, said: “This is a fantastic partnership with a local Southport company who have hit the ground running and are already offering a great service. “The eco friendly busses which run every ten minutes are actively combatting air pollution and helping keep our borough clean, green and beautiful. Cumfybus Managing Director, Marshall Vickers, added: “As a Southport company it gives me great pleasure to be operating the Park and Ride service in the town and we are delighted to be working in partnership with Sefton Council. The service runs from 7.30am to 6.30pm Monday to Saturday and 10am to 6:30pm on Sundays and Bank Holidays. Sefton Council’s new swimming programme has launched brand new technology that will allow swimmers to keep on top of their swimming progress. Swimmers in Bootle Leisure Centre, Dunes Splash World and Meadows Maghull can now use SWIMTAG to help monitor their swims. SWIMTAG allows users to keep a record of their swimming progress, helping them to keep a tab on their training progress with a single click. A small device that can be worn on the wrist or ankle will record swim performance and feed back to an online system where users can access their results including swim distance, pace and length count. All of this comes as part of Sefton’s new revamped swimming offer, made possible by grant funding from Sport England. The installation of high tech sound systems and lighting at the three centres has opened up a world of opportunities for the kind of pool sessions that can be offered in Sefton and now SWIMTAG is set to add even more to the growing offer. The SWIMTAG is free to those with a swim membership, or an extra £1 for casual swimmers. 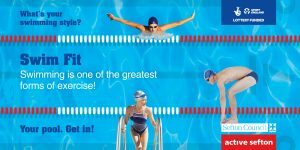 Cllr Ian Moncur, Sefton Council’s Cabinet Member for Health and Wellbeing, said: “The swimming offer in Sefton just keeps getting better. We want to show that we truly listened to the feedback we received from over 3,000 residents and are working hard to make swimming a sport that everyone can enjoy. 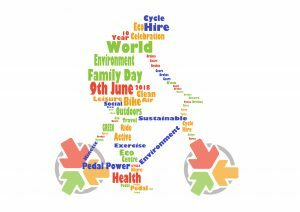 The Eco Centre, Southport will be hosting a family fun day to support World Environment Day on Saturday June 9. The event has been put together in partnership with the centre’s award winning education service and the popular on-site cycle hire to celebrate its 10th season. It is also supported by United Utilities who have funded the Eco Garden transformation and one of the centre’s education topics. A large wooden cycle ramp course to test your cycling skills! Explore the Eco Garden and take part in our activities to win prizes! Does your bike need a bit of TLC? If so, bring it along for a free health check by Dr. Bike! Merseyside Police’s Safer Roads Problem Solving Team will also be in attendance to promote safe passing distances and will bring with them a HGV for children to sit in. Visitors also have the opportunity to check out Community and partner stalls which will highlight the good work taking place in Sefton.